Russia's lower house of parliament, the State Duma, has ratified the Russian-Syrian agreement on the deployment of an air group of the Russian Armed Forces in Syria at the Hmeymim airbase for an indefinite period of time. MOSCOW (Sputnik) — The Hmeymim airbase agreement was signed in Damascus on August 26, 2015, and was submitted to the State Duma for ratification at the beginning of August, 2016. The ratification document, approved by 446 State Duma lawmakers on Friday, envisions that Moscow use the base 'free-of-charge' and carry out supplies of necessary equipment and ammunition to the base without customs or any other duties. 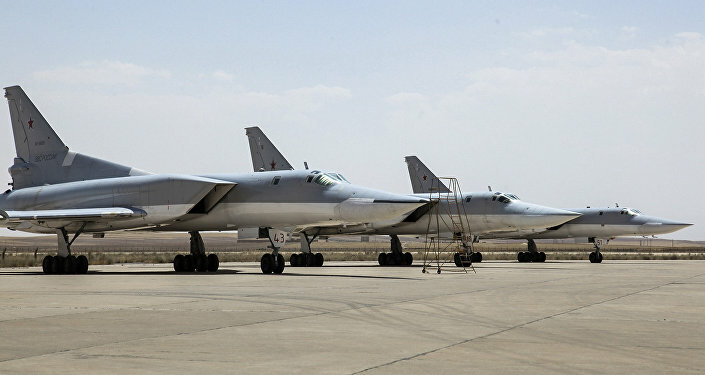 Russia began its air campaign against the Islamic State (ISIL, also known as Daesh) terrorist group in Syria on September 30, 2015, at the request of Syrian President Bashar Assad. The Russian Aerospace Forces' operation in Syria was reported to prove Moscow's seriousness in the fight against terrorism and helped in preventing its spread in the region, tightening the grip on terrorist groups and contributing to preventing as much as possible the spread of terrorism into other countries. Since the Cold War era, Russia has been establishing military bases abroad to ensure the stationing of its military contingents and naval presence. Among other countries, the Soviet Union established bases in the GDR (East Germany), Poland, Czechoslovakia, Hungary, Egypt, Syria, Ethiopia, Yemen, Angola, Guinea, Libya, Tunisia, Yugoslavia and Vietnam. In 1979-2002 the Cam Ranh base (officially known as Logistics Support Facility 922) in southern Vietnam was the Soviet Union’s best overseas naval base. Cam Ranh Bay was recognized as one of the most convenient basing locations in the Pacific. In addition to berths in Cam Ranh Bay, it included the Ba Son shipyard in Ho Chi Minh and a large airport nearby. The Soviet Navy used the Cam Ranh facility under a 25-year rent-free leasing contract. In 2010, Russia announced that it had no use for Cam Ranh as a military base but that it might be used as a logistics support facility for the Russian Navy, as was stipulated by the 2013 agreement on setting up a joint submarine maintenance and repair facility in Cam Ranh. In 2014, an agreement was signed establishing simplified procedures for the use of Russian warships in the port of Cam Ranh. Since 2014, the Cam Ranh airport has been used as a maintenance facility for Il-78 aircraft. Since 1967, the Lourdes signals intelligence facility (the SIGINT) in Havana’s southern suburb was the main US-targeting listening post. Located just 250 miles from US borders, it could intercept radio data virtually across the entire US territory. The equipment of the center was modernized and upgraded several times. The Soviet Union also had a naval base in Cienfuegos and the Priboi signals facility in the town of El Gabriel in Cuba. Recently, the number of Russian military facilities abroad has declined. Russian military presence is now confined to 10 countries: Abkhazia, Armenia, Belarus, Vietnam, Kazakhstan, Kyrgyzstan and the unrecognized Transnistrian republic, Syria, Tajikistan and South Ossetia. In 1995 Russia and Armenia signed an agreement on the deployment of the 102nd Russian Military Base in the city of Gyumri, in northern Armenia, which is on alert as part of the CIS Integrated Air Defense System for 25 years. 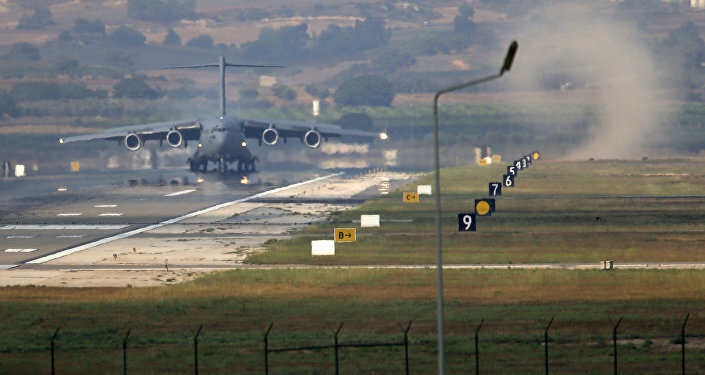 On August 20, 2010, Russia and Armenia extended the term of the base contract and it will now run through 2044. In Belarus, under a 1995 bilateral agreement signed for a 25-year term, Russia leases the Hantsavichy radar station, located near Baranovichi, which tracks missile launches at ranges of up to 5,000 kilometers (3,106 miles) and space objects the size of a ball several millimeters in diameter in any orbit. The facility is part of the missile attack warning system and is linked to the Russian president’s so-called nuclear briefcase. The other Russian military base that has for years been actively operated on Belarusian territory is the Vileyka zonal communication point of the Russian Navy. Vileyka Communication Point 43 is an ultra-long-wave radio station ensuring communication with strategic nuclear-powered submarines. Kazakhstan hosts the largest military facilities of the former USSR with their total area exceeding 11 million hectares. Russia has retained and currently continues to operate seven large military facilities in Kazakhstan under bilateral agreements. These include the 5th State Test Range of the Russian Defense Ministry (the Baikonur cosmodrome); facilities of the 4th State Test Site of the Russian Defense Ministry: the Kapustin Yar test range (located mostly in Russia, but also including areas near the Atyrau and Western Kazakh regions of Kazakhstan), the 20th Separate Measuring Station and two measuring facilities (IP-8 and IP-16, in Western Kazakhstan). Under an agreement on the presence of a joint Russian military base in Kyrgyzstan, the military facilities as part of the base include an air base (Kant airfield), a testing range (Cape Koi-Sary, Kara-Bulun Peninsula), a communication center (the village of Spartak, the town of Chaldovar) and an independent seismic post (the city of Mailuu-Suu). An aviation training center (Edelweiss mountainous training center) is a shared facility. In May 2013 Russia ratified a base agreement with Tajikistan concerning the 201st Military Base, which is the largest ground force formation outside Russia. Its term has been extended through 2042. At present, the military base, formed by reorganizing the 201st Division, is deployed in a Dushanbe suburb. The base ensures the protection of Russian interests and – together with local armed forces — the security of Tajikistan. At the same time, Russia provides Tajikistan with inter-operable weapon systems, military and special equipment in accordance with Russia’s defense technology cooperation laws. In February 2009, Russian military bases were stationed in the Republic of South Ossetia and the Republic of Abkhazia, which became part of the Southern Military District. In Abkhazia, the 7th Krasnodar Red Banner Military Base is deployed in the Gudauta and Ochamchira districts. In South Ossetia, Tskhinvali, Russia deployed its 4th Guards Vapnyarsko-Berlin Red Banner Military Base. A smaller part of it (two motorized infantry battalions, an artillery battalion, a flamethrower company and maintenance and support units) is deployed in Java, the second largest city in South Ossetia. The base also has sub-units at the Dzartsemi testing range and the Kurta airfield. For over 20 years, Russia has effectively maintained a military base in the unrecognized Moldovan Republic of Transnistria. Units of the Russian Armed Forces are part of the tripartite peacekeeping force in Transnistria: about 1,200 personnel. In 1977 the Russian Navy maintenance and support facility was set up at the port of Tartus, Syria. Currently, the Tartus facility is the Russian Navy’s only support base in the Mediterranean Sea. It continues to perform its designated mission. The Tartus facility is manned exclusively by civilians. 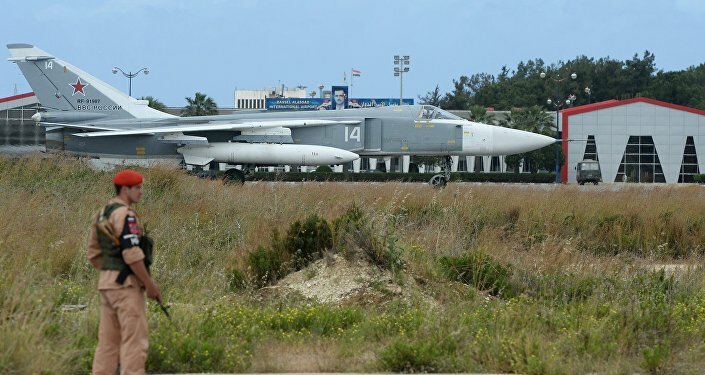 On August 26, 2015, a Russian-Syrian unlimited-duration agreement was signed on the deployment of a Russian Air Force aviation group in Syria at the Hmeymim airport (Latakia province). Ratification of the agreement is pending in the Russian lower house of parliament. The Russian Defense Ministry is looking for the possibility of returning to Cuba and Vietnam, where Soviet and later, Russian, military bases were established in the past. As Defense Minister Sergei Shoigu has stated, Russia intends to increase the number of its foreign military bases and is negotiating with a number of countries, including Vietnam, Cuba, Venezuela, Nicaragua, the Seychelles, and Singapore, among others. The talks are related not only to the deployment of military bases, but also to a simplified procedure of making port calls in these countries, as well as the possibility of refuelling long-range aircraft.